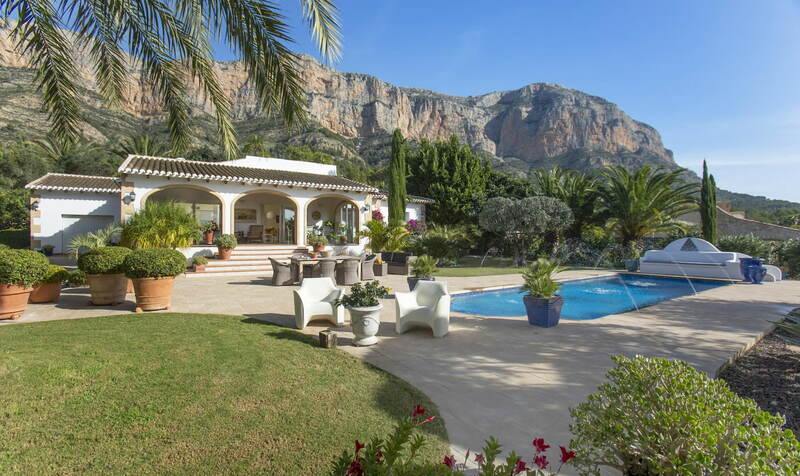 An absolutely beautiful villa situated at the foot of the Montgo mountain on a flat, south-facing plot with breathtaking views of both the mountain and the valley. Entrance to the property is via electronic gates. The property is completely enclosed and very private. 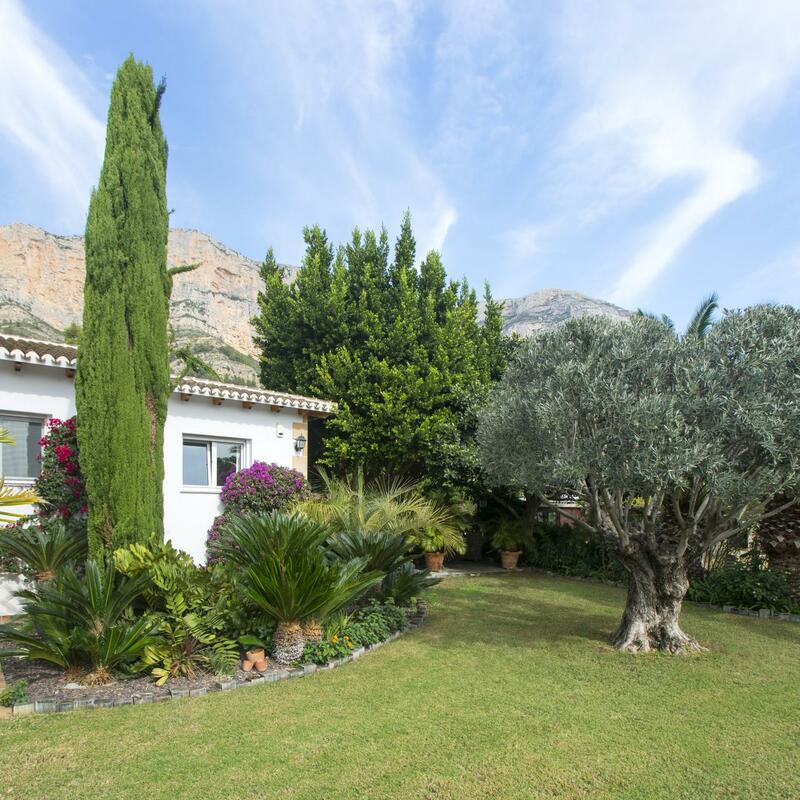 This villa has an immaculately maintained, colourful garden housing flowering plants and shrubs from all around the world. There are several seating areas throughout the garden in both sun and shade to relax and enjoy the views. The south-facing 10 m by 4 m pool has water jets located along the edge of the pool and there is plenty of space to sunbathe or play games. 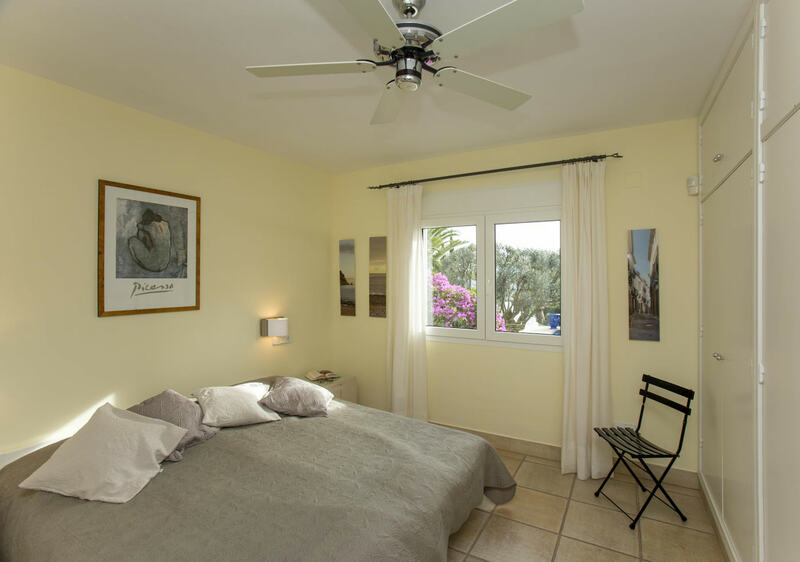 The main entrance to the villa is through the spacious, south-facing naya which has a seated area to relax as well as a dining area for eating al fresco. The lounge/dining room has iptv with all the main tv channels and internet access is available throughout the villa. The kitchen leads directly off the lounge/dining room and has all modern appliances. A gas BBQ is also available for guests to use. Three bedroom are located to the right of the lounge/dining area. The master bedroom is en suite. 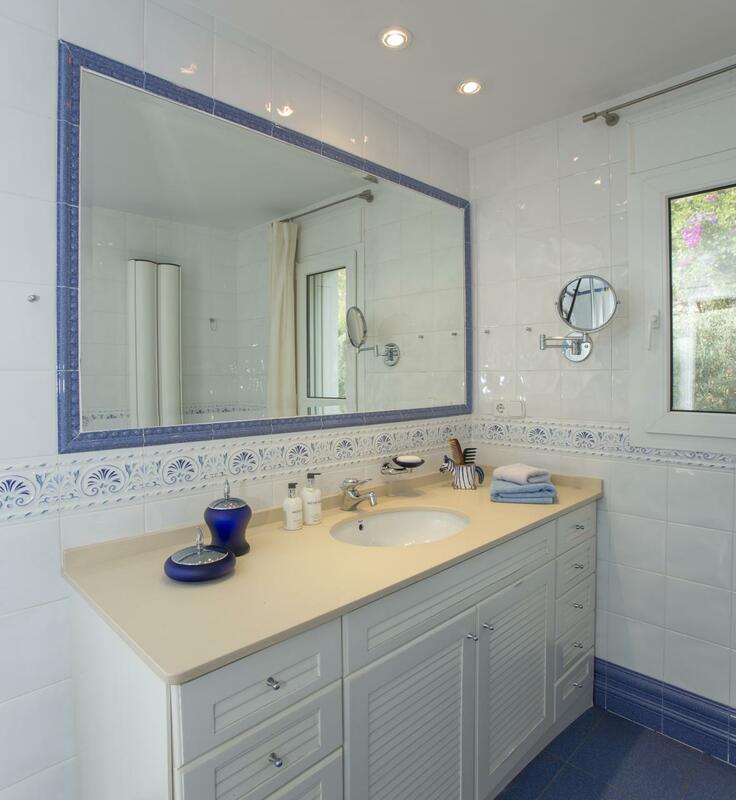 The other two bedrooms, one double room and one twin room, share a family bathroom. 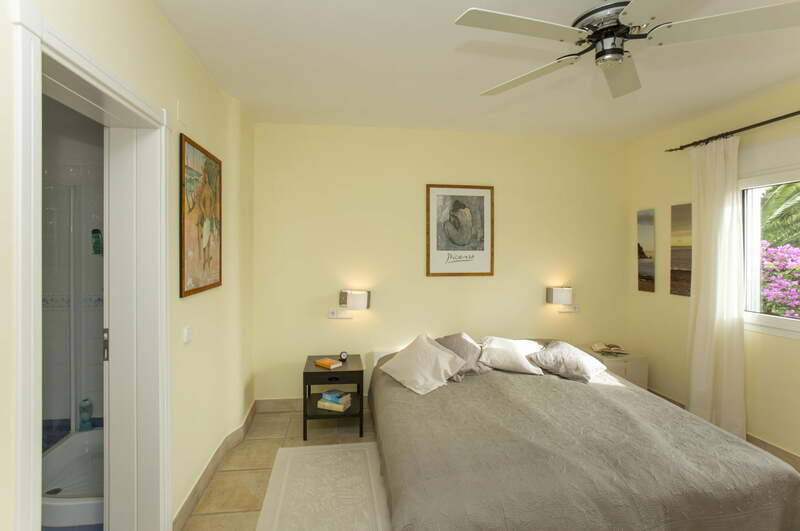 All three bedrooms as well as the lounge/dining room and the kitchen have air conditioning. 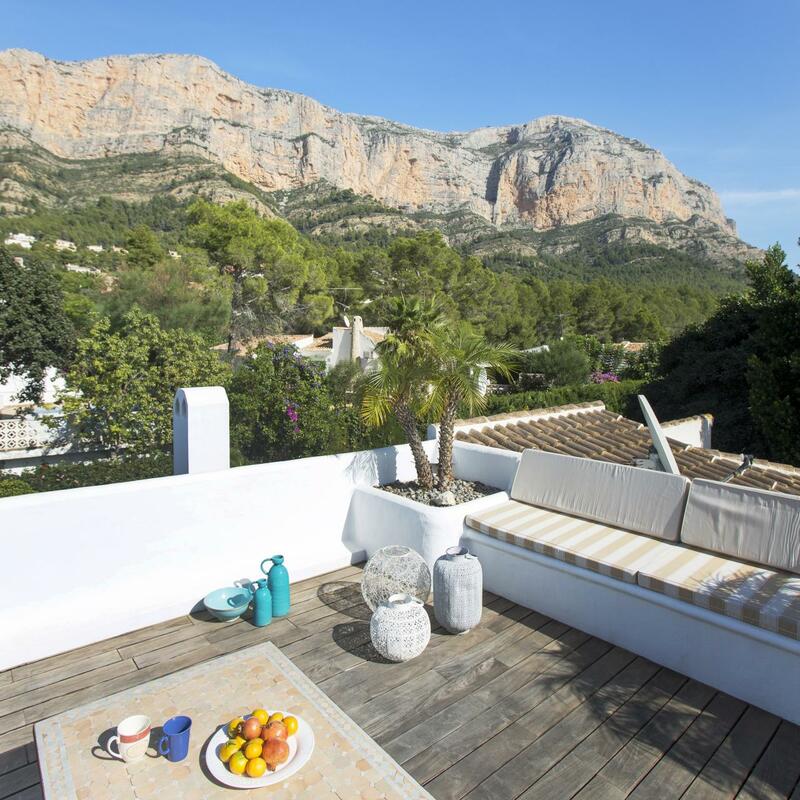 To the rear of the villa is a small patio area with stairs to access the new, Moroccan style terrace which has stunning views across the Montgo Valls and to the Cumbre mountain in the distance. To the rear of the garden is a small orchard with a variety of fruit trees including orange, lemon and pomegranate. There is a shop and four restaurants within a five minute car ride and the Arenal beach is approximately fifteen minutes by car.